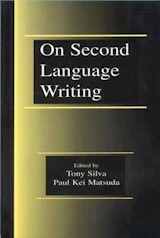 On Second Language Writing is a collection of state-of-the-art essays based on 1998 Symposium on Second Language Writing. It brings together internationally recognized experts in the field to address basic issues in the field, including theory, research, instruction, assessment, ideology and politics, and articulation with other fields. 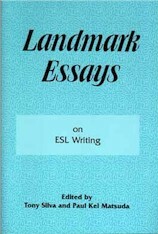 A volume in the Landmark Essays Series, Landmark Essays on ESL Writing complements On Second Language Writing by representing the development of the field of ESL writing from a historical perspective. This collection seeks to provide ready access to primary works that have shaped the field and to place them in their historical contexts. 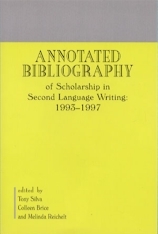 This book is a compilation of annotated bibliographies published in the Journal of Second Language Writing between January 1993 to September 1997. It contains 676 non-evaluative summaries of theoretically grounded research reports and essays addressing issues in second and foreign language writing and writing instruction. 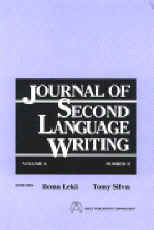 The Journal of Second Language Writing, a refereed journal appearing four times a year, features theoretically grounded reports of research and discussion of central issues in second language and foreign language writing and writing instruction.